With its remarkable client roster Pakharenko & Partners is one of the largest Ukrainian full-serviced IP practices. In 2014 the firm continued to advise its regular client Kaufland Warenhandel GmbH & Co. KG on management of trademark portfolio of “Kaufland” hypermarket network, protecting the trademarks from dilution, solving the issues related to possible contesting of conflicting registrations of third parties. The firm is traditionally busy working on patent and trademark infringement cases. Not long ago its team represented Syngenta Participations AGin a case regarding infringement of a patent for an invention. The firm is especially well-known for anti-counterfeiting work and boosted with instructions from global brands. In particular, acted for WD-40 Manufacturing Companyin a number of cases related to protecting trademark rights in “WD-40” trademark and taking anti-counterfeiting measures with regard to the goods on which “WD-40” trademark was unlawfully used. The firm acted on a number of criminal cases regarding infringement of trademark rights of Procter & Gamble, Nike, Reckitt Benckiser and preventing distribution of counterfeit goods unlawfully bearing the trademarks of these companies. 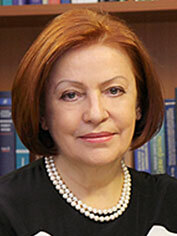 Antonina Pakharenko-Anderson, managing partner, is among the most respected individuals in the IP community. Alexander Pakharenko is admired for his anti-counterfeiting work. Being the top player on the Ukrainian IP market, Doubinsky & Osharova patent and law agency advises prestigious clients on all aspects of intellectual property. The firm recently demonstrated an impressive track record, with a particular focus on trademarks and anti-counterfeiting. Extremely active in professional community and praised for his strong litigation skills, Yaroslav Ognevyuk, partner, defended the rights of world-renowned jewelry company Tiffany & Cо. ; represented International Federation of Football in litigation to invalidate the trademark FIFA (in the Cyrillic alphabet) and to cancel the domain name fifa.ua. 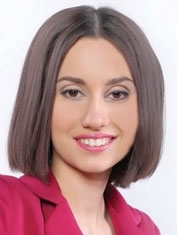 Famed for her pharma experience, Victoria Sopilnyak represented the world-known company Walmart Stores Inc. in the case regarding termination of the trademark certificate of Ukraine for “Walmart”, registered in the name of a Ukrainian entity. Another leading individual is partner Anton Koval, whosuccessfully defended rights of a well-known Indian pharmaceutical company, Nabros Pharma, in respect of registration of a medical product called “FLUCOLD”. Michael Doubinsky is the evident luminary for the IP world. The well-established IP practice of Baker & McKenzie consists of structuring IP-related transactions, securing IP rights, with a focus on trademarks and patents, protecting clients against unfair business practices. The Kiev office benefits from the international reach allowing comprehensive cross-border support. Among the recent work highlights is acting for NISSAN in a number of trademark prosecution, clearance and trademark opposition cases in Ukraine; and handling a trademark transfer agreement and negotiations for 3M Company in Ukraine. Baker & McKenzie co-ordinates global anti-counterfeiting programs for companies across the region. The team assisted Mattel, Inc. with respect to counterfeits reproducing Mattel’s registered marks and copyrights in Ukraine. Selected names of the clients’ roster include BATMark Limited, Bombardier Inc., Columbia Sportswear Company, Grindex AS, Starbucks Corporation, Alticor Incorporated and others. 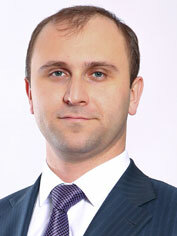 The five-lawyer team is headed by well regarded partner Ruslan Drobyazko. Other team members Yuliya Kolchenko and Oleksiy Stolyarenko received peers’ appreciation during the poll. Established in August 2014 AEQUO inherited legacy of the strong IP practice many years developed by key IP practitioners of Vasil Kisil & Partners. The lead partner Oleksandr Mamunya splits his time between IP and dispute resolution. The team’s recent caseload is rich in complex trademark, patent and copyright disputes, prosecution matters, implementation of IP rights protection programs in Ukraine. The firm’s clients include Mobile TeleSystems OJSC, Google Inc., Pioneer Hi-Bred International, Inc., E.I. du Pont de Nemours and Company, Koninklijke Philips Electronics N.V., Samsung Electronics (Ukraine), Dr. Reddy’s Laboratories, ASBIS, Discovery Networks, Synthon, Sandvik, The Office for Harmonization in the Internal Market (OHIM), Forbes, W.M.L. World Media Library Limited, Catabasis Pharmaceuticals Inc. Andrey Nikolayenko, senior associate, is another important IP practitioner at the firm. At the beginning of 2014 Sayenko Kharenko boosted its growing IP practice with the inclusion of a new partner, Oleksandr Padalka, and his team. This reinforced existing positions and facilitated development of new IP law services. Under the umbrella of brand protection services, the firm advised on the whole gamut of IP protection issues, including copyright, trademark & design infringements, unfair competition cases, as well as customs and border protection of IP. IP due diligence of game and IT projects and other IP-related transactional support of M&A deals in IT sector has composed the strength of the team. Notably, the firm is engaged in complex management of IP assets portfolios. The key highlights include giving advice to Kupishoes LLC, owner of Lamoda, a large fashion e-shop within the CIS on brand protection issues related to bad-faith owners of 6+ conflicting domains of .UA zone; acting as local legal counsel for one of the global leading network marketing enterprises for healthcare and beauty within its global trademark infringement dispute with a French beauty company for court and administrative proceedings; advice to a US film studio on licensing rights to use Ukrainian translations of The Hobbit trilogy for screening the third and the final film. Partners Oleksandr Padalka and Nazar Chernyavsky, and senior associate Oleg Klymchuk are the firm’s primary IP contacts. Gorodissky & Partners, which is present in the Ukrainian market for almost 15 years, demonstrated growing performance of trademark work. The impressive client roster from global majors regularly instruct the firm on various IP protection issues. Oleg Zhukhevych stands out on the market for his active IP litigation work. The IP offering of AstapovLawyers international law group covered a broad range of matters, including supporting trademark and patent disputes, trademark transferring, protection against patents trolls, domain names matters, anti-counterfeiting. Among the ongoing IP workload is representing CORUM Group in protecting rights on patents in court; PromSIZ on protection of the rights on trade name and business reputation; STB Channel on trademark registration and copyrights. IP partner Natalia Meshcheriakova and her team have left the group and rejoined the Intellectual Property Experts Agency. Since January 2015 the IP practice has been led by Ilarion Tomarov, who joined the group as a senior associate. In 2014 Asters, full-service Ukrainian heavyweight,reinforced its IP practice with the hire of the recognized IP practitioner Julia Semeniy (previously partner at Konnov & Sozanovsky), who became the practice head. The workflow has consistent following from clients seeking advice on IP transfers, trademark and patent infringements, high profile litigation, IP coverage of commercial arrangements, unfair competition investigations. Asters advises clients in the IT, manufacturing, cosmetics, aviation, and beverages industries. The team advised FORMOSA SAINT JOSE CORP in connection with prosecution of patent application and patent renewal for the international car accessory manufacturer; and represented Molson Coors group with respect to registration of a new client’s trademarks in Ukraine, as well as renewals of known beer brands. In 2014 Vasil Kisil & Partners saw a steady stream of instructions from high profile clients. The firm represented Pioneer Hi-Bred International, Inc.before law enforcement bodies in a number of criminal matters regarding trademark infringements; and the international producer of closures Guala Closuresin a number of court actions in respect of trademarks infringement under international registrations. In August the IP team of Oleksandr Mamunya, partner, exited the firm and continued servicing clients under the brand name AEQUO. IPStyle, dynamic IP boutique rapidly adds to its clientele. The client portfolio includes both domestic and international companies such as Novus Ukraine, Danone Ukraine, ALVI, ProPharmа, Bouland Games, Roshen. Recently the firm advised Confectionery Corporation Roshen on international trademark registrations; Danone Ukraine, on protection of appearance of products, developing strategy of protection, patenting industrial designs; Bouland Games, a software company, on providing copyright registration for computer games, including copyright protection in USA. In 2014 the firm established the IP litigation department, representing clients throughout in courts, government authorities and customs. Mariya Ortynska was very active all year long and is the team’s most prominent practitioner. 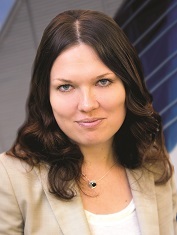 In 2014 the IP and technology team of DLA Piper in Ukraine, headed by Natalia Pakhomovska, partner, carried out a lot of traditional contentious (pre-court and court procedures, negotiations, cease and desist letters, IP protection strategies) and non-contentious IP work (trademarks and patents searches, filings, including multi-jurisdictional, filing strategies). The team is also involved in more complex projects such as IP structuring and IP audit, with subsequent advice and clean-up as part of preparing the companies for an IPO or potential sales or acquisition of business, as well as supporting clients in process of evaluating IP assets. The team recently supported an international manufacturer of health and beauty products on several trademark protections; advised on counterfeiting issues, protection of its rights in the Internet. Among ongoing highlights is advising a Ukrainian client on transfer of all its IP assets within the framework of the sale of its business to a strategic investor. Arzinger has an established IP dispute standing accompanied with growing expertise in a wide range of commercial arrangements and transactions with IP objects. Focus industries include pharmaceuticals, construction and development, electronics, telecommunications, energy, retail. In the past year the firm has represented a Danish pharma company in a dispute regarding illegal use of trade name in a domain name and web-site contents; acted for international exporter of petrochemical in a criminal case of illegal trademark use. The client list counts such significant names as Takeda Pharma A/S, Soyuzmultfilm, Hoerbiger Service Ukraine, Katepal OY. The practice is overseen by partners Sergiy Shklyar and Timur Bondaryev. Anton Polikarpov, senior associate, is a key IP practitioner. Egorov Puginsky Afanasiev & Partners Ukraine (EPAP Ukraine) retains its strong market presence within the IP field, working on contentious and non-contentious matters. In particular, the firm advised Viacom on the enforcement of IP rights and cease of sales of counterfeited products representing the client before courts and state authorities; assisted UniCarriers Corporation and Viterra with registering a series of trademarks. Counsel Taras Kyslyy leads the IP/TMT practice, and is a vivid IP practitioner. Konnov & Sozanovsky, a domestic outfit, is well known for its IP expertise. Throughout the past year its team handled representation of Ferrero S.p.A. in a dispute to invalidate the certificated on TM “MC Mon Cherie” and represented Prada S.A. in invalidation of TM “Pradostyle”. After the departure of Julia Semeniy to Asters in May 2014, the core IP practitioners are Alexandra Odinets and Irina Melika. Gide Loyrette Nouel develops its IP advice across patents, copyright and data protection. The Kiev team is active in transactional IP work, regulatory, anti-counterfeiting, litigation. Last year was especially noted for representation of clients in unfair competition cases at the Antimonopoly Committee of Ukraine. The office is often chosen by multinational companies for supporting IP issues of complex contractual arrangements. The IP team currently advises Comuto SA (TM “BlaBlaCar”), a European on-line car sharing service, on the acquisition of a similar WEB platform in Ukraine and registration of trademarks and copyright objects; and advises the Ukrainian subsidiary of Baltika Group, a leading Estonian manufacturer and distributor of apparel and bijouterie, on the royalty payments structure under trademark license agreements and represents it an administrative case against the state customs authority. Some significant clients are Peugeot Citroёn Ukraine, Pernod Ricard Ukraine, NRJ, Tactile, I-CUBE, Herbs, and others. The practice is supervised by partner Bertrand Barrier. 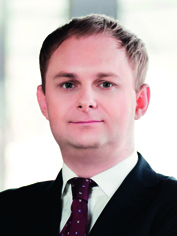 Known for his competition law advice, Oleg Akhtyrskyi significantly broadened his IP caseload throughout 2014. In 2014 Gvozdiy & Oberkovych demonstrated activityin trademarks work. The IP team advised the Ukrainian subsidiary of Aviareps AG, the world’s leading tourism and airline sales and marketing company, on enhancing the validity of German-registered trademark in Ukraine. Among other instructions were certain issues of Ukrainian IP law for Reckitt Benckiser, and consistent legal involvement in trademark registration and packaging regulations. Associates Maksym Lebedev and Valeriy Savva are the main IP forces led by managing partner Valentyn Gvozdiy. In 2014 FCLEX, a dynamic domestic firm,started active development of its IP practice, notably litigation in the pharmaceutical sector. In particular, Oleg Malinevskiy, partner, represented the interests of a major producer of drugs, JSC Halychpharm, part of Arterium Corporation, in a dispute with LLC Ternopharm and the Ukrainian Ministry of Health to set aside the order of the latter on registration of medicinal product “Alteyka.” Other clients of the firm include Kyivmedpraparat and NPO Farmatron. 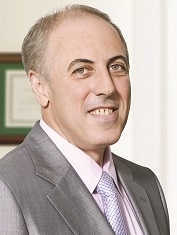 Viktor Barsuk, senior partner, is another important contact. The IP practice of NOBLES, the Ukrainian firm that emerged after the departure of the German law firm Noerr from the market, extends from transactional matters and advisory work to litigation. The firm advised Mothercare, a British retailer, on restructuring of franchise arrangements and protection of IP in Ukraine; Nokia Solutions and Networks on regulatory and IP issues. In the client list of this team are Groupon Inc., Masco Corp., King Digital Entertainment Plc, Avon Products Inc., SEPHORA and others. 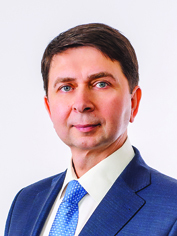 The IP practice is headed by partner Volodymyr Yakubovskyy. IP is a growing practice ofthe International Legal Center EUCON. The firm’s recent work falls into registration of intellectual property rights and regulatory issues, supporting transactions of IP rights transfer. In a recent highlight, the firm acted for Aeromeh SPC on IP rights transfer. Other clients include Zepter Ukraine, Plastics-Ukraine, Hansa Ukraine, GMS (Global Message Services). 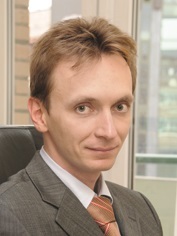 Yevgen Petrenko, counsel, is the primary contact. The proactive domestic Juscutum Attorneys Association stands out for its IT niche. Over the past year the team demonstrated impressive growth of a dedicated client base. The team acted for NixSolutions,a Ukrainian IT outsourcing company with its head office in Kharkov before the courts in an Internet defamation case. The firm also benefits from enlisting Nazar Polyvka and Denys Beregovyi, whofocus oncopyright and technology law. 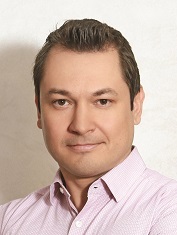 IP work is guided by Dmytro Gadomsky, partner. Jurimex Law Firm is traditionally associated with its work in telecommunications and media sectors.The firm acted for DC Ukraine LLC, the large retail network Watsons, in a number of copyright disputes; supported IQ production in a series of deals on IP rights alienation. The firm’s consistent client MSL, state lotteries instructed the team of Marina Slobodnichenko for a wide range of matters. Yuri Krainiak is known for his substantial experience in the mentioned industries. Mikhailyuk, Sorokolat & Partners, domestic IP boutique, stands out for its network of offices, notably in Ukraine which it operates in Kiev and Kharkov. The firm’s recent workload includes trademark and patent prosecution, opposition, infringement matters, cancellation of dishonest trademark registration, etc. 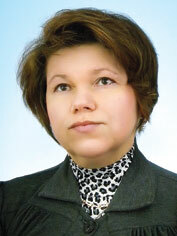 The leading partners, Anna Mikhailyuk and Vadim Mikhailyuk, are well-known IP practitioners. The compact team of domestic Patent Law Agency Synergy is referenced by market sources for expertise in IT and Internet projects. At the same time, the agency demonstrated a wide scope of IP work that includes IP rights registration, infringement matters, transactional IP support, IP related taxation. Recently the team supported sale of the “Best.ua” internet project; arranged contractual support to Cossack Labs Limited on acquisition of know-how on a computer program; defended a client, the Rozetka.ua internet shop, in trademark rights violation cases. The agency’s client list includes Wargaming LLP, Tavr Media, Ukrainskaya Pravda, ENERGOBANK, A.R.MUSIC, LLC Premier International and others. Anna Kravchuk, who is extremely active in licensing, assignments and related tax issues, was noted by peers as “fresh blood” in the market. With its litigation strength Ilyashev & Partners performs IP disputes. It recently represented the Morion Publishing House regarding protection of IP rights to trademark “Compendium” and its recognition as a well-known brand in Ukraine. Irina Kirichenko, patent attorney, is especially known for her servicing of pharmaceutical companies. Dentons is often hired by sound multinationals for handling trademark protection in Ukraine and benefits for working closely with other offices. The Kiev team is involved in a diverse range of IP issues, involving trademarks, litigation, trade secrets and confidentiality, production licenses and IP-related commercial advice. The office is particularly active in the field of new technologies, including computer, Internet and multimedia law. 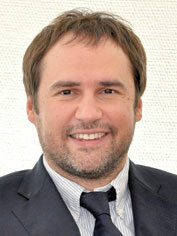 The practice is led by Oleg Batyuk, managing partner. Integrites enjoys a steady following of clients seeking advicerelated to fighting illegal use of IP rights objects, unlawful use of copyright objects, import of counterfeit products to Ukraine, etc. The firm stands out for its own network of offices, which enables the firm to cover CIS-related matters. Among the recent cases to mention are advising Inkermanskiy plant of vintage wineson elaboration of an exclusive license agreement; Next Group Plc on protection of IP rights in Internet. Some significant clients of the firm are ZTE Corporation, Games Workshop Group Plc, Nikon Europe B.V., Fornetti Holding Kft, Hochland, Olam, Rockwool and others. 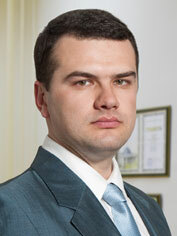 Oleksandr Aleksyeyenko, partner, is the head of practice. The Kiev office of CMS Cameron McKenna possesses expertise in the IT, hi-tech and media sectors. Recently its team, which consists of Olexander Martinenko, Sergiy Gryshko and Maxym Bugai, was busy in IP work related to M&A, trademark disputes, copyright royalty, industrial property matters as well as unfair competition. The Kiev office of Peterka & Partners is a point of choice for many foreign businesses to cover IP issues of Ukrainian subsidiaries. In 2014 the office advised Vellington LLC, a supplier of Asian food to offices and an operator of a chain of cafés, on registering a trademark in Ukraine; and Regus group companies in Ukraine, members of the world’s largest provider of flexible workplaces, on trademark renewal in Ukraine and the payment of royalties under license agreements. Nina Sydorenko is a lead partner in Kiev. Gramatskiy & Partners commands domestic IP work, notably delivering subsequent services to SNT, Agrochemical Technologies Company, Park Lane, Playtech Ukraine, ClickMeIn Ukraine. The recent IP caseload included advisory on IP issues in the course of establishment of Chocolate trading centers; advice on copyright and industrial property protection in the course of the construction process; alienations of IP rights of software developers; and successful litigations in favor of SNT on appealing the license agreements that violated a patent on invention. Oleksandr Koval and Bogdan Chaban are the main IP force. Legal Alliance Company provides IP advice to pharmaceutical companies, the industrial niche of the firm. Recently the IP team handled registration of more than 20 trademarks of medicinal products in the territory of Ukraine, five utility models for medicinal products; performed patent clearance research and active substance research of more than 40 medicinal products. On the dispute front, the firm represented a Croatian pharmaceutical manufacturer in court proceedings concerning illegal trademark registration by a distributor in Georgia. 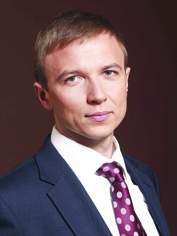 The five-lawyer team is supervised by managing partner Illya Kostin. 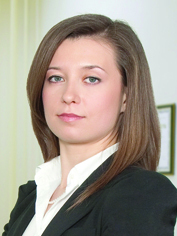 Another key practitioner, Natalia Lavrenova, was promoted to counsel. Shkrebets & Partners, a Kharkov-based firm, protected the interests of entrepreneurs of the shopping center Barabashovo on suspicion of committing a crime of “Illegal use of the mark for goods and services, company name, qualified indications of origin” on illegal use of trademarks and the brand names “Adidas” and “Nike”. Partners Eugene Shkrebets and Andriy Syvak are the main contacts. Alexandrov & Partners, as guided by Dmytro Slobodyan, supported the project aimed at creating and registration of trademarks by one of the biggest developers in Kiev Region. Misechko & Partners carries out trademark registrations for Ibis LLC. LCF Law Group as led by Anna Ogrenchuk represented State Enterprise Plant 410 CA in a dispute with State Enterprise Antonov. Trademark protection in the Internet, on-line advertising and software licensing were referred as a recent practice focus of Olena Vardamatska and Wolf Theiss.